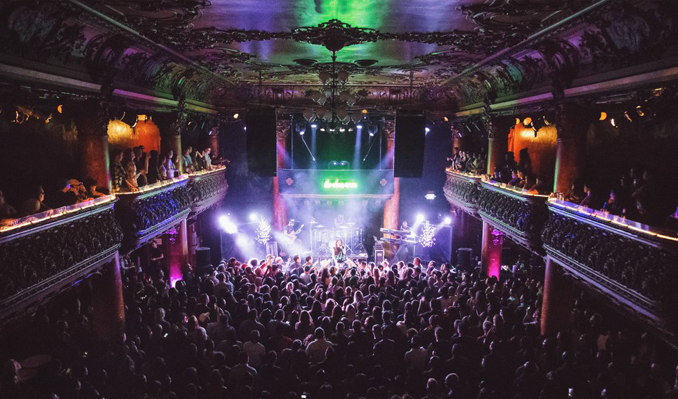 Great American Music Hall is an ornate venue with a storied past. For over 110 years, Great American has welcomed patrons of all ages with a sense of grandeur and wonder, embedded in the ornate decor and classical ceiling frescos. Today, a world-class sound and lighting system, two full bars, a modern kitchen and a spacious oak dance floor help blend contemporary quality with turn-of-the-century finesse. Fun fact: The Grateful Dead recorded “One from the Vault” live here in 1975!